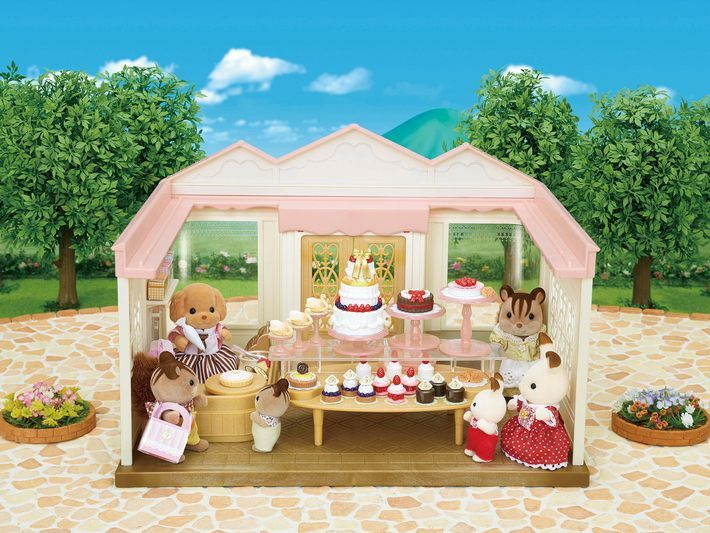 Play with Village Cake Shop by displaying the beautiful cakes in the store. The cakes can be decorated beautifully by inserting strawberries, decorations and logo plates. 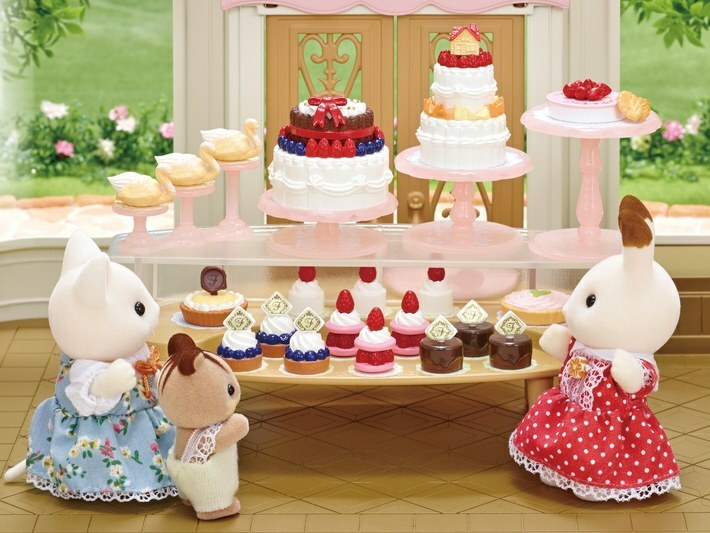 You can change the layout of the kitchen and the display table. Place cakes on the cake stands or in the display case to rearrange the display. 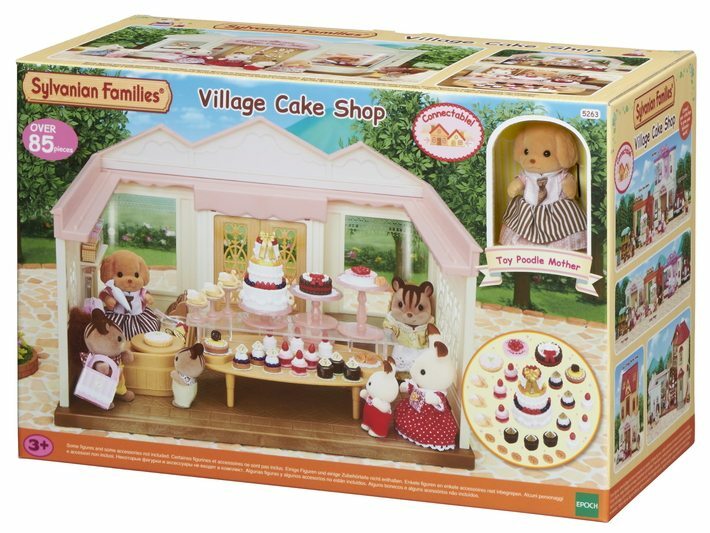 You can make Village Cake Shop even more fun by adding some of our other products (all sold separately). 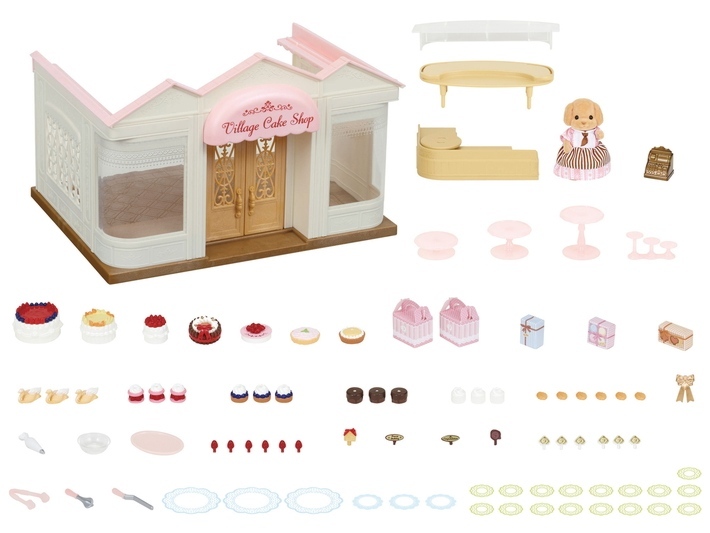 Combine this set with Cake Decorating Set for an even more fun bakery game. 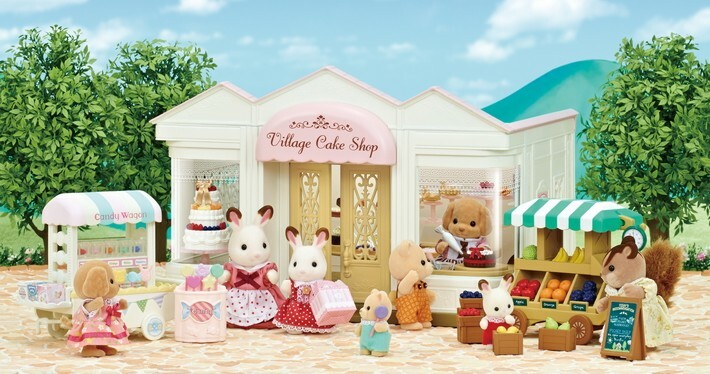 Place Village Cake Shop next to Brick Oven Bakery, Boutique, Candy Wagon and Fruit Wagon to make a shopping street. 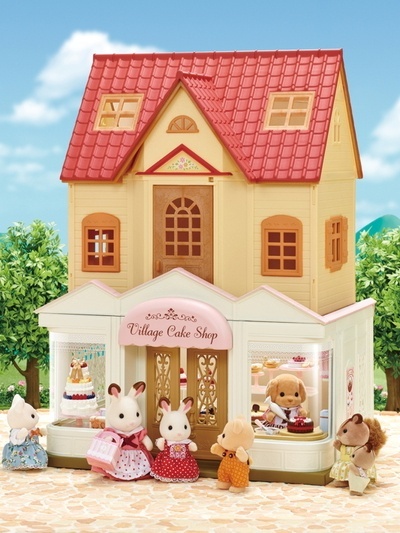 You can also place Cosy Cottage Starter Home on top of Village Cake Shop. Open City House with Lights and place Village Cake Shop next to the floor part to add a shopkeeper's house.